American Thanksgiving is just around the corner, which means it’s time for Black Friday, Cyber Monday, and big bargains. 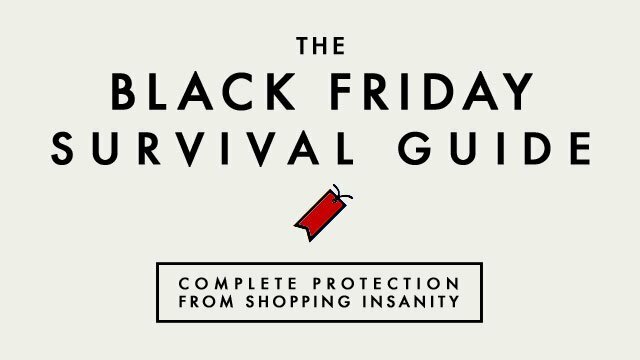 Black Fridays, in particular, can be your best friend and worst nightmare at the same time. There are so many sales and too many places to go to. If you’re not prepared in advance, you will literally shop until you drop. Here are 5 things you should know about Black Friday shopping. We would hate to see you burn out from too much shopping. Put your health first and stay safe. Planning ahead of time, will help you reduce the time you spend at the malls mindlessly shopping. Having a list of items in front of you will also prevent you from buying things on the whim just because they are there and on sale. Unfortunately, you don’t always get what you want. If you are dead-set on getting something, be sure to have a backup plan just in case the stores run out of them. If you have two or three things in mind, you won’t run the risk of buying based on impulse. Not everything you wish to buy sees its best deals of the year during Black Friday. Black Friday sales are time-sensitive, so wasting time looking for a deal that may not appear could make you miss a killer doorbuster. These things include furniture, chocolate, jewellery, flowers, exercise equipment, vacation packages, gift cards, hardware tools. NerdWallet conducted a study recently and found that 77% of Americans say the shop on Black Friday, but stores often offer their lowest prices on other days. The analysis came from 27 Black Friday advertisements for stores such as Target, Walmart, Best Buy etc. A perfect example is Small Business Saturday, which is a local sale run by small businesses on the Saturday after Black Friday. If you still haven’t found what you’re looking for, you can try your luck with online sales during Cyber Monday blowouts. Alex Noudelman is a Toronto Digital Marketing Executive at iRISemedia.com. He received his Honors B.A. from York University and a Masters in Adolescent Education from D’Youville College. iRISEmedia.com is a web design, social media marketing, search engine marketing, and online reputation management firm in Toronto, Canada. Our team helps clients increase their reach and profitability by developing and implementing customized and targeted online and social media marketing strategies. We service clients in Toronto, Ontario, the GTA and throughout Canada as well as globally. If you have any questions, do not hesitate to contact Alex Noudelman.